Liquid Hops are prepared from hop cones by specific extraction & distillation methods. They consist of original hop oil compounds in an aqueous propylene glycol (PG) solution. PG is a registered food additive according to EC directive 95/2/EC as E 1520. Unlike pure hop oil, Liquid Hops are 100% soluble in solutions (like beer or other beverages). Liquid Hops offer an alternative means of adding hop aroma & flavour independent of any other product or process & of annual crop variations. Liquid Hops can compliment traditional means of adding hop aroma by kettle addition. Our generic Liquid Hops will give specific beer flavour attributes such as citrussy, floral, herbal or spicy characteristics & enhance pleasant existing flavours in the beer/soft drink. Furthermore, off-flavours can be easily masked. Liquid Hops can give a very pleasant “late hop” character to your beer. Description: transparent to pale yellow clear solution. The Liquid Hops are completely soluble in beer and are intended for addition to fined or filtered beers. The required amount of Liquid Hops may be metered directly into the beer stream during transfer to bright beer tank or other appropriate vessel. A usage rate of Liquid Hops per hectoliter normally is about 10 ml but might vary between 5 – 40 ml according to the desired intensity of aroma. We recommend laboratory scale trials to determine which concentration suits best. This evaluation can be carried out on bottles of 250 to 500 ml capacity. The beer chosen for the test should not contain a significant proportion of aroma hops. The rate of initial tasting should be approximately 100 ppm of the Liquid Hops as supplied. Liquid Hops can be dosed directly using a micro syringe or Zipette at a rate of 0.1ul/ml bottle volume. i.e for a 330ml bottle 33ul gives a dose rate equivalent to 10ml/hl. Chill the beer to normal drinking temperature. Open and introduce the required volume of diluted Liquid hop in the headspace of the beer bottle onto the glass or beneath the surface of the beer and reclose the bottle. Invert the bottle several times to ensure mixing and chill again for at least two hours before opening and tasting. On a large scale, Liquid Hops are used as a post fermentation addition to finished beer, where 100% utilization is feasible. Especially for beers which are purely hopped with reduced light stable hop products such as Tetrahop Gold® or Redihop® without any aroma hopping, use Liquid Hops to introduce aroma character of your beer/beverage. On a large scale Liquid Hops may be added without prior dilution to beer either before or after the final filtration preferably by metered injection into a turbulent beer stream during transfer. Liquid hops can also be added to bright beer without any increase in haze or deterioration in foam stability. - All Liquid Hops are free of hop alpha acids and can be used with any packaging type. - Liquid Hop utilization is 100% because it is fully soluble in brewed beverages. - Provided as a standardized solution for direct dosing into bright beer. - Liquid Hops are 100% derived from hops by physical processes. 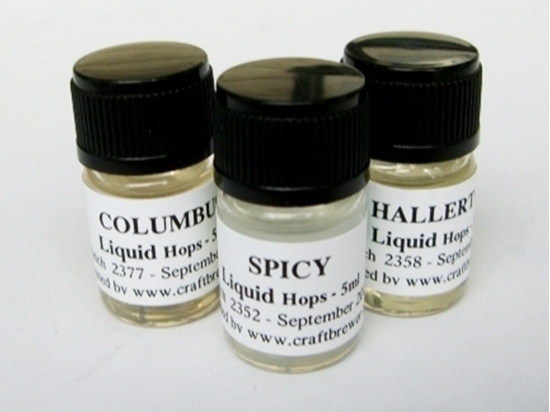 - Liquid Hops give the opportunity to differentiate existing products or to create new ones. The standard package size of Liquid hops is 5ml. Larger package units are available on request. Liquid hops are stable in unopened containers for at least 12 months. After this time you may need to increase the dosage to reach the same desired effect. 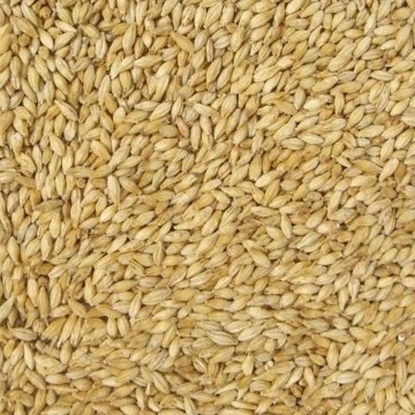 They are unaffected by pasteurisation and remain stable and unchanged over the life of the beer. Store at 0-20 °C (32-68 °F). Please refer to our MSDS available on request.